What is the check in and check out times? Check-in at your convinience, and check-out by 10:00 A.M .
Can I pay through MPESA? Yes, we accept Mpesa payments. Can I cancel my accommodation reservation(s)? YES. You can cancel your reservation(s) two days prior to your arrival. We offer transport services upon arrangement. Can i have breakfast/lunch/dinner if am not residing in your hotel? Do you make customised furniture? YES. On request subject to availability of materials. Unfortunately, we don't make deliveries. Unfortunately, the prices are fixed. Where can I get quality tree seeds? Quality tree seeds are available for sale at our KEFRI Centers. We also dispatch orders to customers' destination at an extra cost to cover transportation fee. What should I do if seeds fail to germinate? Contact the nearest KEFRI Center for guidance. Where can I get quality tree seedlings? Tree seedlings are available for sale at all our KEFRI Centers. 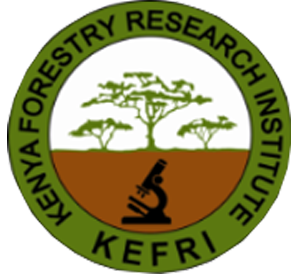 KEFRI IS ISO 14001:2004 EMS Certified. © 2019 KEFRI ENTERPRISES. All Rights Reserved.